This is a Superman for a new generation in Zack Snyder’s superbly accomplished MAN OF STEEL. Everything about MAN OF STEEL, this new version of DC Comics most famous creation, is epic and beautifully realised by director Zack Snyder and writer David S. Goyer. They’re assisted in a no small way I’m sure, by producer and co-story creator Christopher Nolan, lending his not inconsiderable storytelling brilliance from the Batman trilogy to this origins tale. To begin with, we get a much lengthier spell on Krypton than in previous films, introducing us to Russell Crowe’s magisterial Jor-El and Michael Shannon’s formidable General Zod – one of the highlights of the movie. As we discover that the planet is not only doomed but facing an insurrection from Zod, to secure some kind of future for both his son and their race, Jor-El sends his infant son Kal-El to a distant star and another life (lucky Earth). But for Zod, his anger at the child escaping him is almost more than his coup being defeated and at his banishment to the Phantom Zone, we’re left with his chilling statement of intention to Jor-El and the remaining Krypton councillors, “I WILL FIND HIM! !” And with Shannon’s performance, you know he means it. 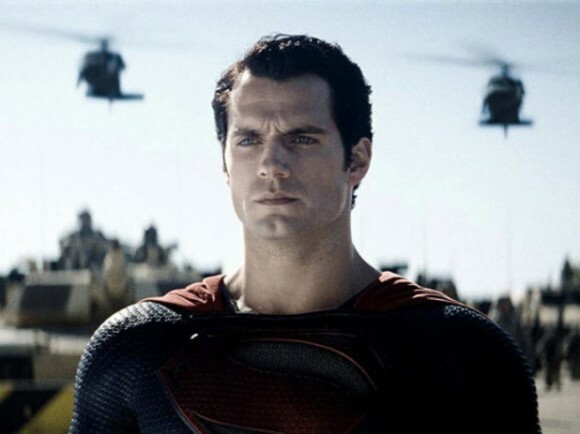 From this prologue, we’re launched into the dazzling heart of the film and a series of stunningly timed flashbacks that intersect the main present-day action, showing Kal-El – now Clark Kent (a strong, focused portrayal by Henry Cavill) – coming to terms with who he is and the extraordinary powers he holds. I loved this part of the movie, so cleverly constructed, as we watch the tenacious Daily Planet reporter Lois Lane (played with exactly the right amount of wit and feistiness by the fabulous Amy Adams) try to track down the mysterious young man who helps people and then like a ghost, disappears. We watch Clark, in a heartbreaking scene, lose someone close to him and then at another moment, meet someone he didn’t even know existed – here you have equally great performances from Kevin Costner as Jonathan Kent, Clark’s dad and Russell Crowe as Kal-El’s real father, both shaping the man who will become so super. That’s another clever element the movie delivers, in that the name Superman only appears quite late on, when Clark has donned his famous suit and cape and decided to present himself to the powers that be on Earth that he’s not a threat, he’s not an alien to be scared of, he’s there to help them – I liked that Snyder and Goyer really started afresh with this, not referencing anything that came before and building a new version of this so famous story. Events, of course, crank up several notches when General Zod reappears and threatens to destroy Earth unless Kal-El surrenders to him. So the stage is set for an all-out battle with Zod and his devoted followers, committed to annihilating anything and anyone in their path to get to Superman. By this point, we’ve been introduced to the stellar supporting cast in the form of Laurence Fishburne’s savvy Perry White, Richard Schiff’s sharp Dr. Emil Hamilton, Christopher Meloni’s gruff Colonel Hardy, Harry Lennix’s steely General Hardwick, Diane Lane’s calm Martha Kent and Antje Traue’s devilish Faora-Ul. Snyder has really done his job here with the talented actors he’s chosen. But it’s Shannon’s performance that lingers long in the memory and shows us a multi-layered, complex villain who above all, is determined to do what he thinks is right (just as Clark/Kal-El does) for what Jor-El calls “the greater good”. What accompanies all of this and is also one of the film’s strong points, is the quite superb score by Hans Zimmer. Some time into the movie, I wondered whether we’d hear the well-known melody of John Williams’ famous score used in every other Superman movie to date but no, this is truly a bold, fresh start for the character and Zimmer’s score really represents that. I loved his compositions for The Dark Knight Trilogy – all modern, clashing sounds and beautifully repetitive tones but here, he’s pulled off something sweeping and orchestral that lifts the action as you watch it and may have you humming it for days after, as it did me. All of which means I’m mystified by some of the mixed reviews I’ve read for the film since its release. I can’t believe they’ve seen the same one I did and I just can’t understand their criticism at all. I think it’s simple – if you want to be taken on a breathtaking journey to see a stunningly re-envisioned tale of Krypton’s surviving son, then prepare to be marvelled by MAN OF STEEL.